Quick Chicken Salad | Mommy, I'm Hungy!! 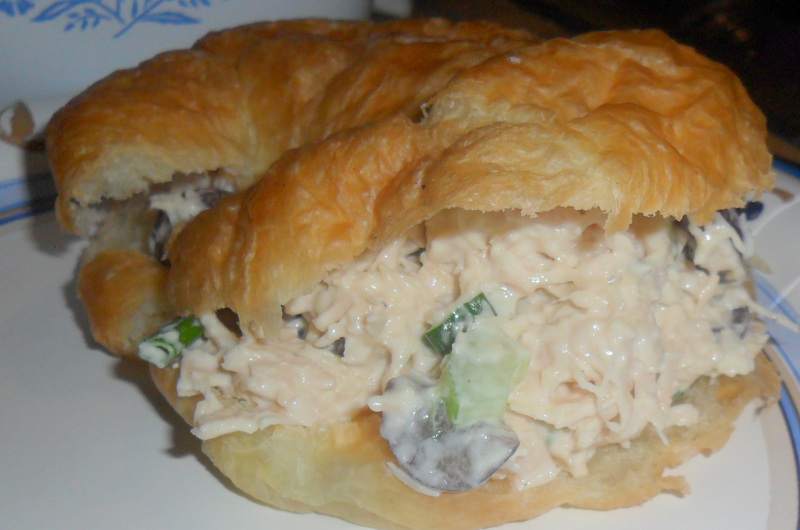 I found this recipe a few months ago and wanted to try it because I love chicken salad. It is so quick and easy and I love to fix this when I haven’t planned a meal or just don’t feel like cooking. You can cook some chicken and use that, but I use the canned chicken to make things easier and quicker. 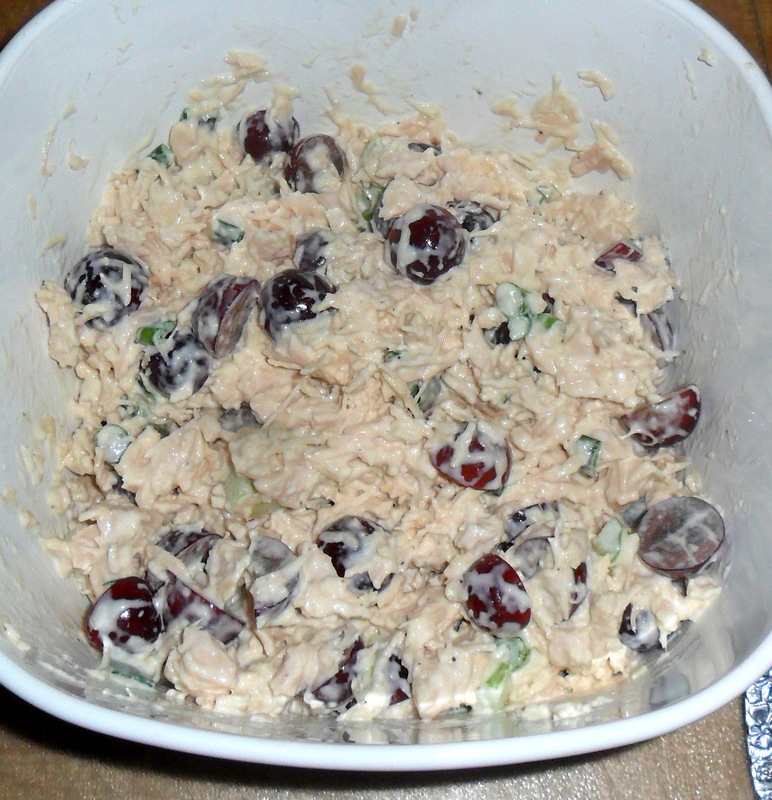 In a bowl, combine the chicken, mayo, grapes, green onion, celery, apple, salt, and pepper. Combine until well blended. I like to combine until the chicken chunks are all broken up into small shreds. Serve on rolls, bread, or croissants sprinkle with some cashews or pecans. This can also be served on a lettuce leaf. I love to have mine on a croissant roll and it is so yummy and I always end up eating way too much! As always, I love comments, so let me know what you think!! I hope you get a chance to make it soon. Let me know how you like it!